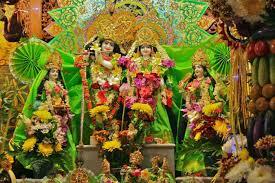 The Hare Krishna Temple of Denver is a part of ISKCON, the International Society for Krishna Consciousness. 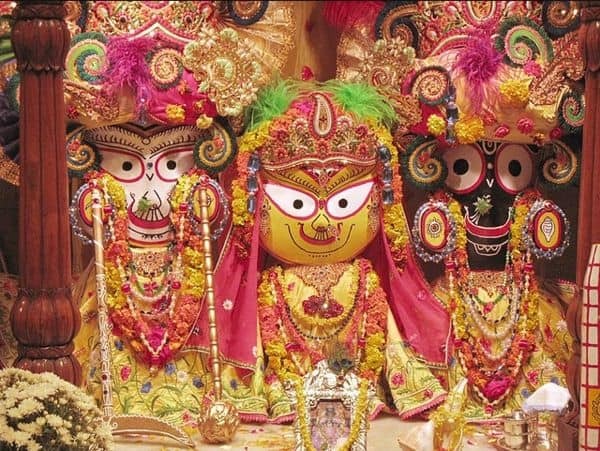 ISKCON was founded in 1966 in New York City by His Divine Grace A.C. Bhaktivedanta Swami Prabhupada who, on the advice of his spiritual master, journeyed to the west from India to share Krishna consciousness with the English speaking world. In November 1977 when Srila Prabhupada left this world at the age of 81, he had seen the society grow into a worldwide confederation of more than 100 temples, ashrams and cultural centers. 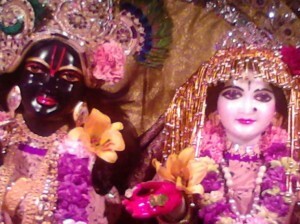 Of which, the Denver ISKCON temple was incorporated on October 25, 1976. 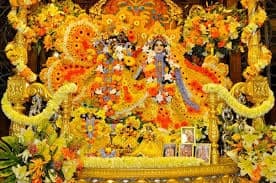 The Denver Radha Krishna Temple is a branch of ISKCON, (International Society for Krishna Consciousness) which was founded in New York City in 1966 by His Divine Grace A.C. Bhaktivedanta Swami Prabhupada, affectionately known as Srila Prabhupada. Krishna Consciousness, also called Krishna Bhakti Yoga, has been practiced all over the world, but especially in India, since before recorded history. The practice of Krishna Consciousness is based on information found in a body of literature called the Vedas which are among the oldest and most revered wisdom texts on Earth. The Vedas explain that every living entity is a soul characterized by eternality, full bliss and full knowledge, but due to identification with the material body, does not usually experience this. As a result, the soul’s experience is limited to the conditions of the body which include many miseries associated with birth, death, old age and disease. When, however, the soul realizes it’s true spiritual identity, it experiences the characteristics of the soul and goes beyond the influence of all miserable bodily conditions.